AUSTIN – Continuing her campaign to protect property owners in Texas, State Senator Donna Campbell sent an official letter to the Attorney General requesting an opinion on the constitutionality of tree ordinances such as the one currently being enforced in Austin. During the legislative session, Senator Campbell authored Senate Bill 782, which would clarify the rights of property owners to remove, trim, cut, and replace trees while restricting municipalities from enforcing costly mitigation fees. In addition, the bill would prohibit cities from enforcing tree ordinances on private property outside the city limits but inside their extraterritorial jurisdiction. In his recent call for a special session, Governor Abbott included tree ordinances and preventing cities from regulating what private property owners can do with their trees as part of his 20-item agenda. Property rights proponents have long pointed out that the cost of removing or preserving trees under many local ordinances can make improvements to existing homes difficult and housing unaffordable. “City tree ordinances are some of the most egregious examples of property rights violations in our state, affecting millions of property owners in Texas. 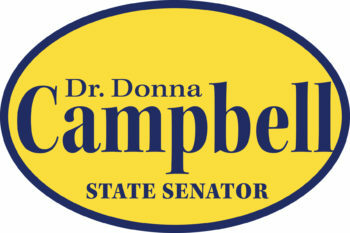 We must ensure that city bureaucrats and central planners are not infringing on local citizens’ liberty,” Senator Campbell stated.